We took advantage of the great weather today to drive over to Gunn’s Hill Artisan Cheese shop located south of Woodstock, Ontario which just happens to be the dairy capital of Canada. The area has a long history of cheese making and it’s nice to see this continuing at Gunn’s Hill. Owner and operator Shep Ysselstein graciously gave us a tour of the new facility and walked us through his cheese making process. 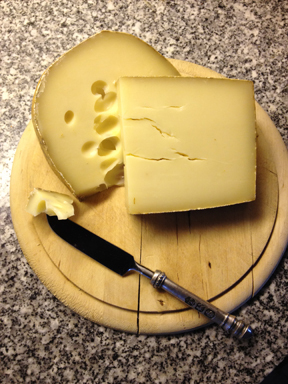 Shep currently produces three Swiss style varieties of cheese – Gunn’s Hill Hard, Semi-Hard, and Soft. All of the cheese is made with milk that comes from his father’s dairy farm next door. We left with pieces of the hard and semi-hard cheeses and will be happily tucking into them later. 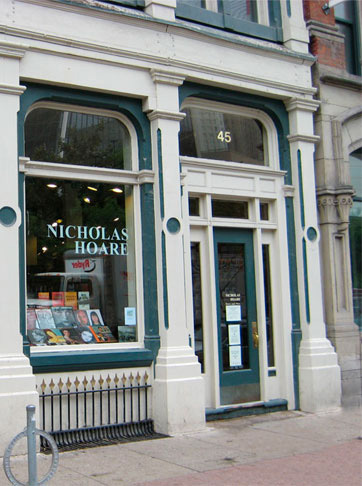 I love Nicholas Hoare mostly for its particular selection of books but also for its cozy, library like interior and the way the books are displayed. 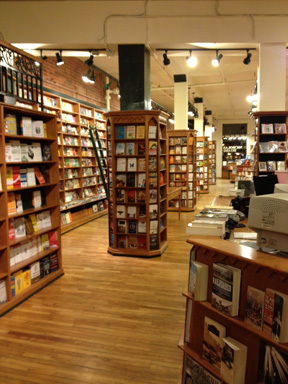 As soon as you walk in you see beautiful books that have room to breath with their covers facing out. Not to judge a book only by its cover, it’s just easier to browse. You don’t have to pry a book out of a tightly packed shelf by its spine only to have to try wedging it back in when you’re done. My first stop is always the biography section where I usually find a title I can’t leave without. 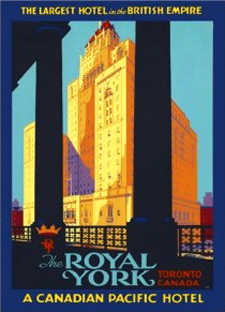 This week I’m working at the Royal York Hotel in Toronto. 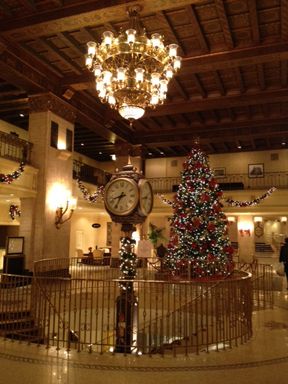 I love the atmosphere this grand old hotel exudes and the Christmas decorations just make it a bit more special. The hustle and bustle of guests, restaurants and special occasions all mix together to create a unique world within the hotel’s walls. You can’t help but sense the history and tradition that have built up over the years, it’s great to soak it up and reflect. I picked up this yarn and pattern kit at the Woodstock Fleece Festival from Linda’s Craftique booth. 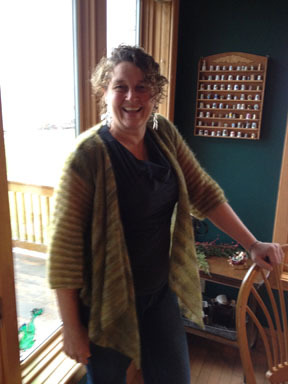 The pattern is “Whisper Cardigan” designed by Linda Benne, the yarn is Zambezi (kid mohair and silk lace weight) by Fleece Artist. I really liked the flowing design and the construction was so simple – basically a large rectangle with only two small shoulder seams. 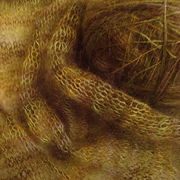 The yarn comes in amazing colourways and after much debate I chose “Boreal” for my sister’s Christmas present. I’m really happy with how it turned out! Lately I’ve been craving non-fiction which this book definitely satisfied. Translated by Cathy Porter, it took me awhile to get through and kept me company with my morning coffee for quite a few months. Something about Sofia’s tenacious spirit and the glimpse into her way of life with a major literary giant at such a turbulent period in Russia kept me interested. Half way through the book I watched The Last Station starring Christopher Plummer as Tolstoy and Helen Mirren as Sofia, absolutely perfect casting. 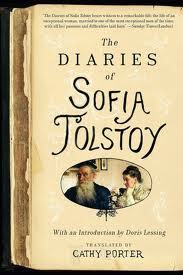 The movie deals with the final months of Tolstoy’s life and the ongoing battle Sofia waged to end Vladimir Chertkov’s influence over Tolstoy. The book and movie made for a good combo. I’ve been experimenting with some different journal forms that are fun to make and use my marbled paper. 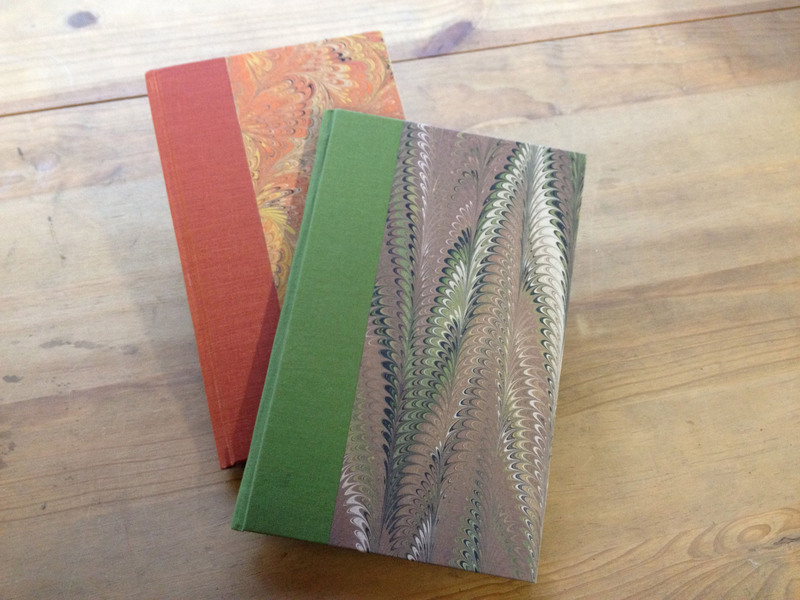 The covers are .125″ binders board covered in marbled paper with a book cloth spine. 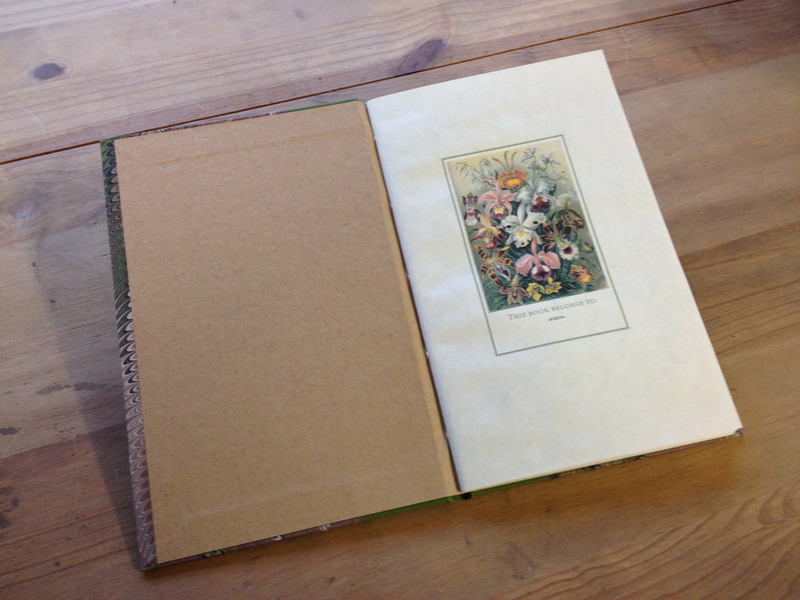 The interior is made up of one, 60 page signature which includes a title page that I design using a variety of vintage illustrations. Lost my heart to these beautiful little creatures. 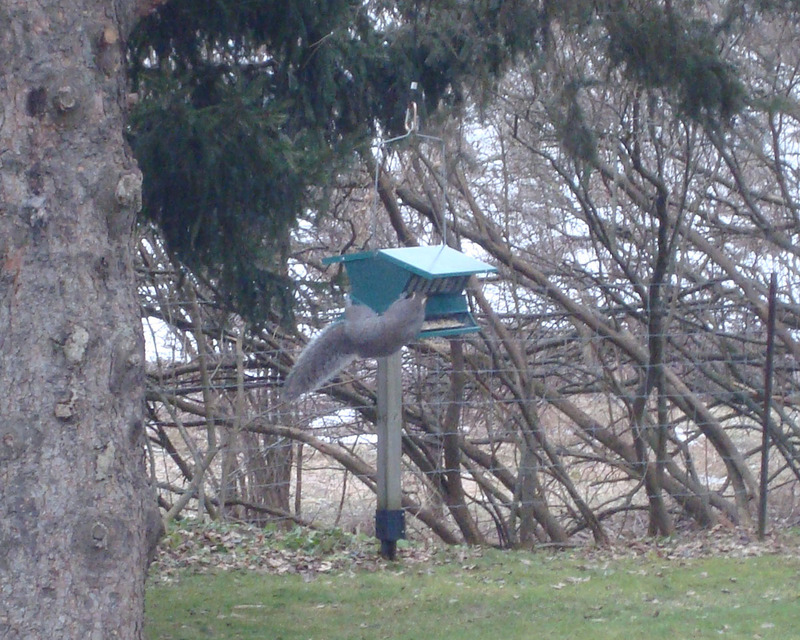 They’re almost as cute as the squirrels that try to raid our bird feeder! 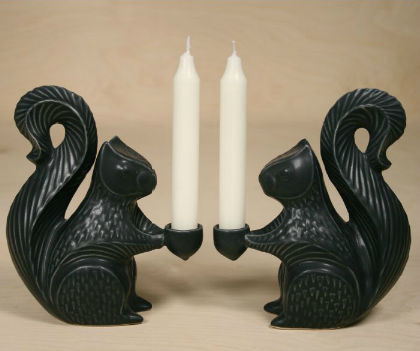 At Jonathan Adler. They are destined to be sitting on top of our mantle some time soon!